&QUOT;ICE CREAM&QUOT; IS A VERY POPULAR &QUOT;CONDO MANGO&QUOT;. THE TREE CAN EASILY BE MAINTAINED AT A HEIGHT OF JUST SIX FEET MAKING IT IDEAL FOR CONTAINER GROWING. ALTHOUGH THE FRUIT IS NOT EXACTLY DESSERT TO THE EYES THE FLAVOR IS SWEET, RICH, AND REMINISCENT OF MANGO SORBET. IN THE DOMINICAN REPUBLIC THE FRUIT REMAINS PERFECTLY CLEAN WITHOUT THE USE OF FUNGICIDES, AND THE SKIN TURNS A CANARY YELLOW COLOR. 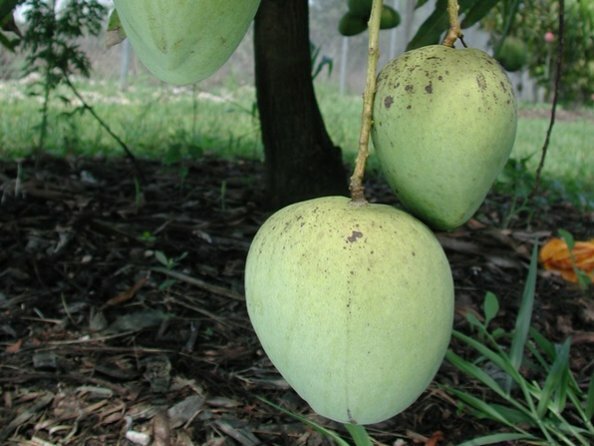 THIS IS DUE TO THE TROPICAL YET ARID CONDITIONS OF THEIR MANGO GROWING REGIONS. THE FRUIT RIPENS FROM JUNE TO JULY.